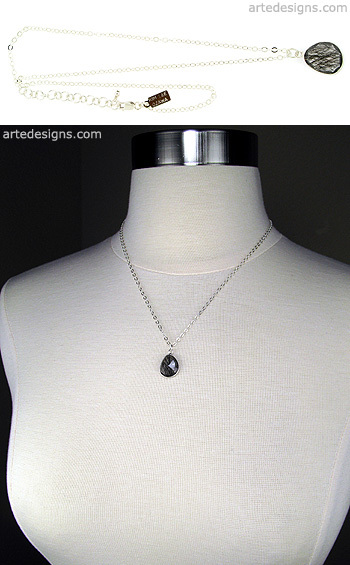 A bezel set Black Rutilated Quartz is all you need to add a little sparkle to your neckline. This faceted gemstone is characterized by its needle-like inclusions which resemble black fibers on the inside. No 2 are alike. Pendant is 3/4 inch high. Adjustable 16 - 18 inch sterling silver chain with a sterling silver lobster clasp.